All together, Crystal has competed in twenty-nine provincial championships and has won eight. Womens Competiton – competed in three northern, nine southern and six provincial competitions in Womens playdowns. Her Prince Albert team won the Provincial title in 1977 and she was a runner-up on two occasions. Senior Womens Competition – competed in twelve provincial senior womens competitions winning five times. Her team placed third at the National Seniors in 1977. Master Womens Competition – competed at six Master Womens Provincial events but has yet to break through for a provincial title. Crystal has also curled at two provincial mixed team competitions and has won two of her three appearances at Intermediate Womens Provincial competitions. 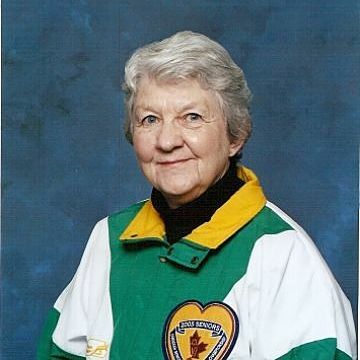 Crystal was the recipient of two provincial and one national Sportsmanship Awards which attest to her love of the game and her respect for her fellow curlers.